The son of a former Hastings United footballer was part of Tottenham Hotspur’s matchday squad for the first time in the Premier League. George Marsh was an unused substitute in Spurs’ comfortable 4-0 win at home to relegated Huddersfield Town in the Premier League yesterday (Saturday). The midfielder has previously travelled with the team as a 19th man in case of injury or illness on the day, but this was the first time he has made the final 18. Marsh made his competitive debut for Tottenham as a second half substitute in the 7-0 Emirates FA Cup third round victory away to Tranmere Rovers in January. 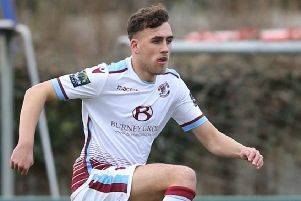 The 20-year-old is the son of Cliff Marsh, who spent a number of seasons with Hastings in the 1990s, primarily in the reserves, although he did make some first team appearances. Cliff Marsh, who also played Sunday league football for the old Ellerhoop team, was quite a combative midfielder during his playing career and nowadays sometimes visits The Pilot Field to watch Hastings matches. His son is a tenacious, tough-tackling holding midfielder who can also drop in and play in the back line. George was born in Pembury, Kent, and raised in nearby Hawkhurst. He was a pupil at Robertsbridge Community College prior to joining Tottenham’s academy full-time in the summer of 2015. He made four substitute appearances for the under-18s during the 2014/15 season and played 21 times in 2015/16, as well as making his debut for the under-21s in April 2016. 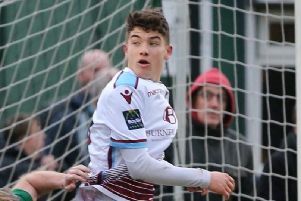 George again led the under-18s during 23 league appearances in 2016-17, in addition to six games in Spurs’ run to the FA Youth Cup semi-finals. He also played five times in the UEFA Youth League, made three starts and three substitute appearances for the under-23s in the Premier League 2, and was part of the under-18 team which won the IMG Cup in Florida just before Christmas in 2016. George started seven of Spurs’ eight games en route to the Under-19 UEFA Youth League quarter-finals in 2017/18 and made 15 appearances for the under-23s in the Premier League 2. He also played three times in the Premier League International Cup, and started twice in the Checkatrade Trophy against senior sides at AFC Wimbledon and Barnet. George made his senior debut during Spurs’ 2018 pre-season tour of the United States.